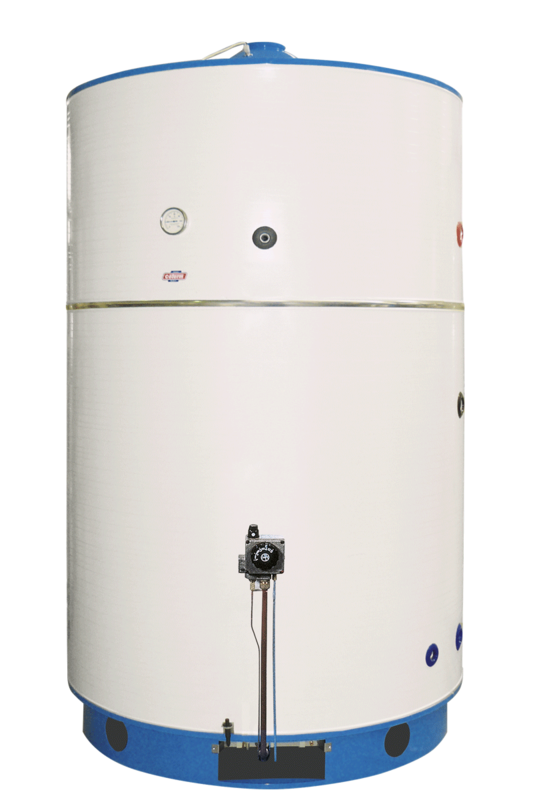 The BG industrial gas fired water heater, certified to operate both with natural gas and LPG, has been designed and built to meet the DHW requirements of large systems (sport centres, hospitals, large community facilities, camp sites, hotels, rest homes, gyms, saunas etc.). STAINLESS steel burner, which ensures a higher resistance to corrosion caused by condensation. Pilot burner suitable for both types of gas. Thermostatic valve fitted with a temperature regulator and a double bulb (temperature and safety). Fitted with gas switching injectors (natural gas-LPG; LPG-natural gas). Fitted with a safety valve. Cathodic protection. The cathodic protection of this water heater is carried out by 2 sacrificial anodes correctly sized according to the heater capacity. As an optional, a permanent sacrificial anode can be fitted to one or two components. On request, this water heater can be made of STAINLESS steel. Fill in the form below to be e-mailed the BG 1500-2000 WATER HEATER technical data sheet. Thank you.